I’m not sure exactly what this is, but I liked the idea of it just from the name and that it’s been circulating around the internet this week. “We have a day for giving thanks. We have two for getting deals. This year help us create #GivingTuesday. A new day for giving back. On Tuesday December 3, 2013, global charities, families, businesses, community centers, students and more will come together to create #GivingTuesday. That is simple enough and I love the idea of giving. Absolutely love it. Which brings me to the story I wanted to share today without even really knowing it was a new labeled day that beats Black Friday and Cyber Monday. Giving Tuesday sounds so much better doesn’t it? But it makes me want to label the other days of the week… like Hump Day Wednesday and Thankful Thursday and Super Saturday and Sabbath Sunday. I feel a theme coming on. But back to my story. 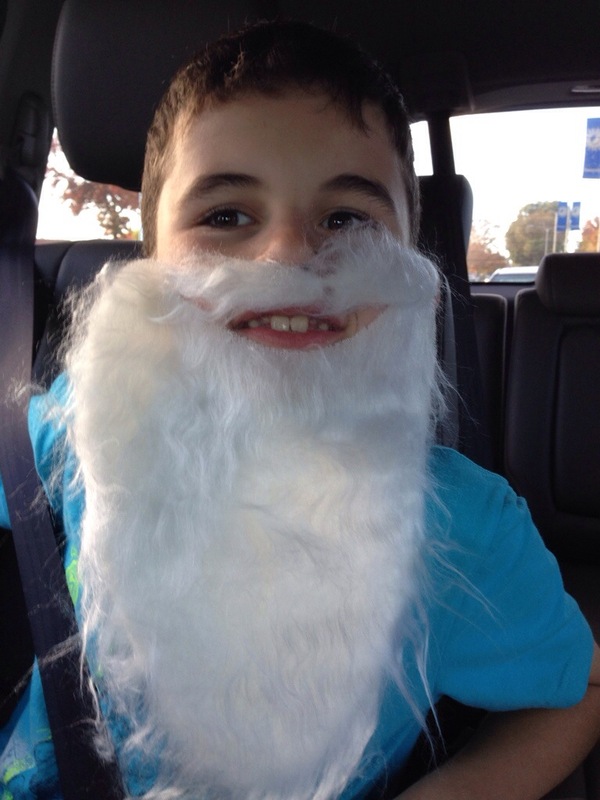 My youngest is so excited about Christmas. 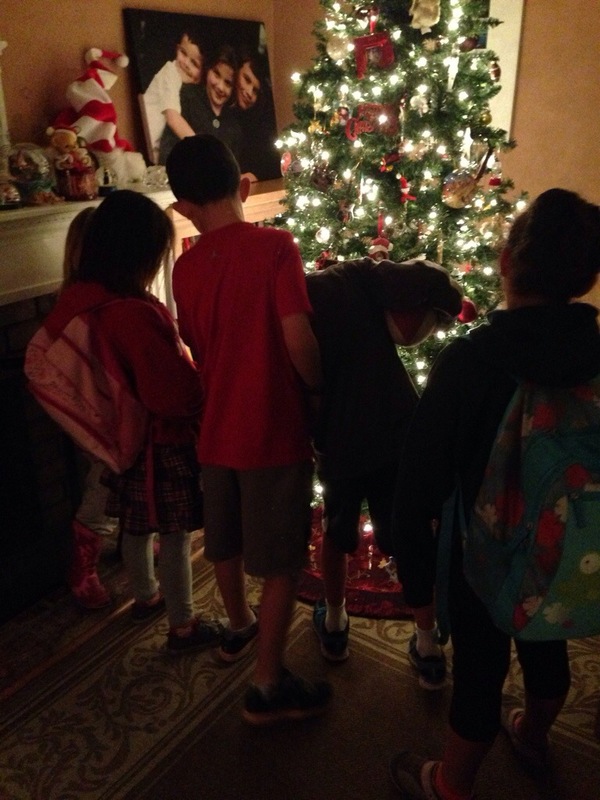 Yesterday after school, he invited his friends to come in to see his Christmas tree after their Homework Club at another friend’s house. He couldn’t wait and was so proud and they just had to see it and all the ornaments and snow globes and stockings hung with care. He loves the spirit of Christmas just as much as I do. And I love that he wants to share it. Somehow we got onto the topic of giving after he shared again with me everything that was on his wishlist. I felt like I should share the other side of the joy of receiving and teach him about the joy of giving. I explained that it would be a good idea if he planned to pick out some gifts for his family and that we receive joy by giving and seeing that other people are happy too. He thought this was a great idea until I mentioned that he would have to bring his own wallet and use his own money. He asked me why he would want to spend his own money on other people. And there he opened the door even further to learn more about the art of giving and how when we give we also receive. And so today I told him that I would take him to the Dollar Tree store with his wallet and $5 to thoughtfully pick out a gift for each of us. He was so excited and ready to go right away after school. He brought his reusable bag and he strolled the aisles, shopping away, hiding from me what he had picked especially for me. I wish you could have seen the look on his face and how proud he was when he gave the cashier his items and his own money and his bag. He was adorable and so cute. He picked out one item for each of us, and one Christmas item for himself since I said I would pay the tax. When he got home, he wanted to give hints and tell us all why we were going to love what he picked and how we could use it and when and where, without giving us the secret. The anticipation he is feeling is so cool to witness and the joy he is experiencing from this giving process is so RAD!! He quickly wanted to do his homework so that he would have time to wrap up each gift and be the first to have his gifts under the tree. My other two children also want to be part of this giving process. Christian and I snuck out alone after dinner and Juliana and I are going alone tomorrow. This simple gift of giving and teaching my children this art was actually a gift to me. Gee, it really works. Happy Giving Tuesday! I want to do it again! !